Stories conjure our humanness, foster connection, and compel us. At the very essence of all our work, there are stories. From messaging, to requesting support, to engaging and connecting as a team, to telling who we are now and where we are headed, we are telling stories everyday. Her Telling Impactful Stories Trainings are crafted to achieve a group’s specific goals from honing messaging to building a team ethic. Leigh highly values this component of her work for she has witnessed how these events help participants feel empowered to bring more of their full selves to their work together and support one another in doing the same. Contact Leigh for individual story coaching, to craft a workshop for your group, or to plan a storytelling event for your community. Below you will find footage and press from recent storytelling workshops and events. These workshops and events were designed for participants interested in working on developing their storytelling capacity and for communities taking the time and making the space to hear one another’s stories. 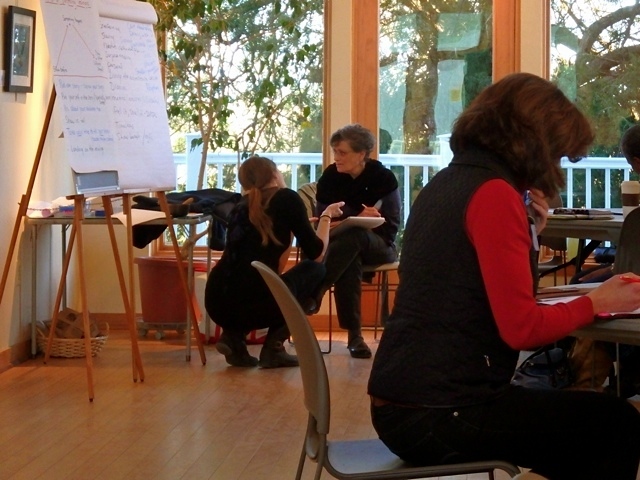 Leigh works with individuals, groups, and communities delving into stories. Below are examples of reasons individuals and groups contact Leigh.